Leader of All Progressives Congress, APC and former Governor of Lagos state Asiwaju Bola Tinubu, yesterday, vowed never to contest the Presidency against President Muhammadu Buhari. He noted that a newspaper report to the contrary was conjured to put him at odds with the President. 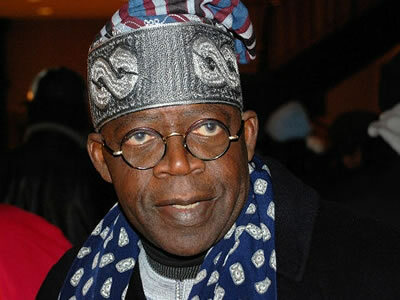 In a strongly worded rebuttal to the news report by the daily, Tinubu affirmed his unwavering loyalty to Buhari, saying permutations of him defecting were ignorant of his consistent political principles. The daily in its front page report, Tuesday, had alleged that Tinubu had stepped up plans to contest the presidential election, irrespective of Buhari’s intentions, saying he had pencilled down three possible running mates, including Governor Aminu Tambuwal, Senator Abu Ibrahim and Serikin Kano, Alhaji Sanusi Lamido Sanusi. 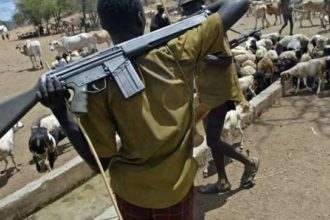 Tinubu in his reaction issued by Mr. Tunde Rahman, his Media Assistant, said: “The story is a manufactured tale weaved by its authors to try to create division where there is none. Those who wrote this fantasy piece seek to place Asiwaju Tinubu at odds with President Buhari. Writing such a baseless report is a very foul and wrong thing to do. “Asiwaju Tinubu remains faithful to the mission of progressive reform and change that President Buhari, he and the All Progressives Congress, APC, have started. 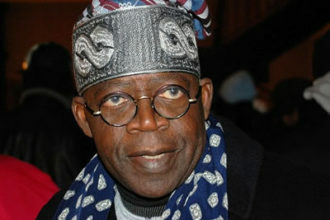 Tinubu was instrumental in the formation and success of the APC. Noting that the report aimed to skew the banter the APC leader had with reporters in Akure last weekend, he said the report “opted to gain false sensation by completely mocking the tenor of the brief banter Asiwaju Tinubu had with journalists at the inauguration of Ondo State Governor, Oluwarotimi Akeredolu. “When asked about future political office, Asiwaju said he could not discount that possibility if the nation called upon him for such service, provided, he emphasized, that all political conditions were appropriate; particularly the office in question would have to be vacant, even if it’s local government chairmanship. “After breaking that yoke, it is not in his nature to voluntarily place it back on our necks. Anyone who has followed his career, even his staunchest critics, knows Asiwaju for his partisan consistency.